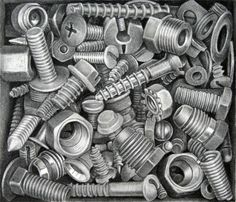 The drawings below were all completed with pencil. Which is your favorite? The drawing of the Coke bottles is amazing!! I really like the Coke bottles drawing! 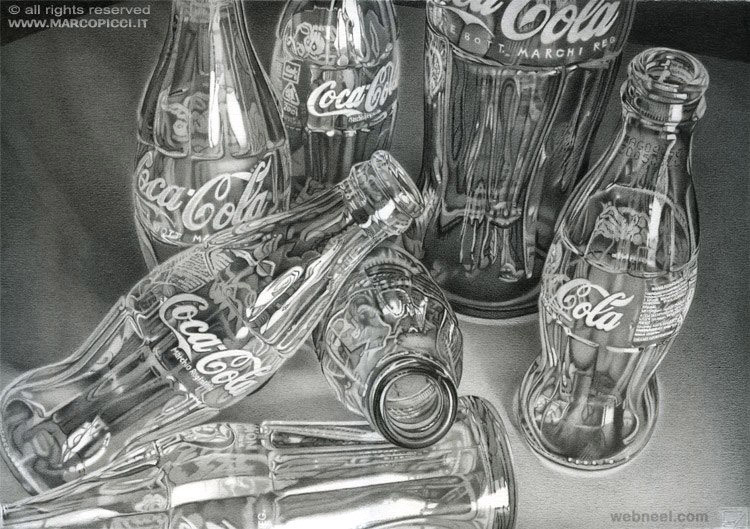 It's amazing how it looks like its real glass, as if it is a picture and not a drawing done in pencil! I didn't realize that the Coke drawing was a drawing!! I love that! The third one is my favorite because of how realistic it looks! The coke bottles are really cool, it looks soo realistic like it's a photograph of them. The fruits looks awesome! It's amazing that they can make all of that with just a pencil and a piece of paper. I like the coke bottles or the bike because it looks so real and i can appreciate how much work went into that. The coke bottles look the best to me. It is cool how people can make things look so real with just pencil and a piece of paper. I like the coke bottles because they look very realistic, but I also like the bike because of all the tiny areas that required very specific amounts of shading. I like the coke bottles the most because it looks like that could be a picture taken by someone instead of being a drawing. It is really impressive. The Coca-Cola bottles one is really cool. The shading makes then look real. My favorite is the Coca-Cola bottles. Even though it is drawn with pencil, it looks like actual glass. The bike and the coke bottles are so defined and the shading and lines are did very accurately.